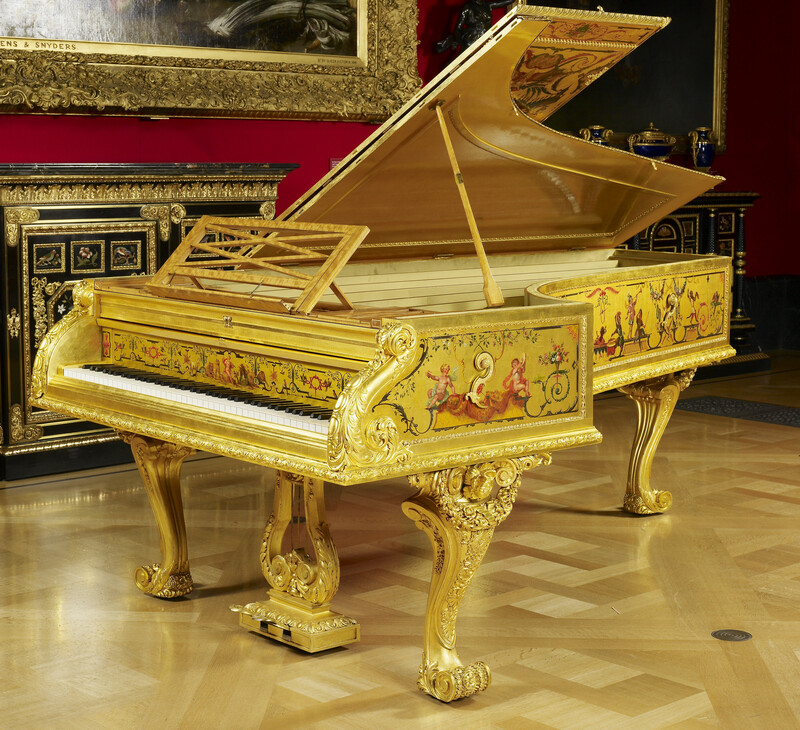 Grand piano with gilded and painted surface by François Rochard in polychrome colours with singeries and Berainesque motifs. 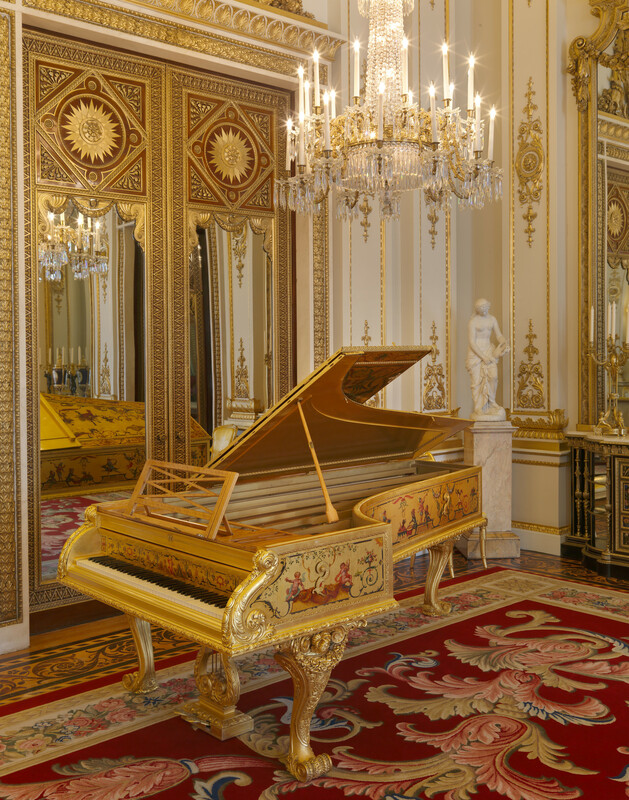 Mouldings and rim of piano of bronze, chased and gilt. Supported on three incurving cabriole legs of gilded wood with heavy floral garlands and carved at the top with two scrolls flanking a prominent flower. Pedal section in form of lyre in gilded wood with foliate decoration. The piano was built in 1856 by the firm S & P Erard. François Théodore Rochard (Paris 1798 - London 1858), was a miniature painter, and the younger brother of the miniaturist Simon Jacques Rochard (1788-1872). He exhibited miniatures at the Royal Academy most years between 1820 and 1855, but this example of singerie and Berainesque motifs differs from Rochard's other works and is the only known example by this artist. Erard was founded by Sébastien Erard (1752-1831). 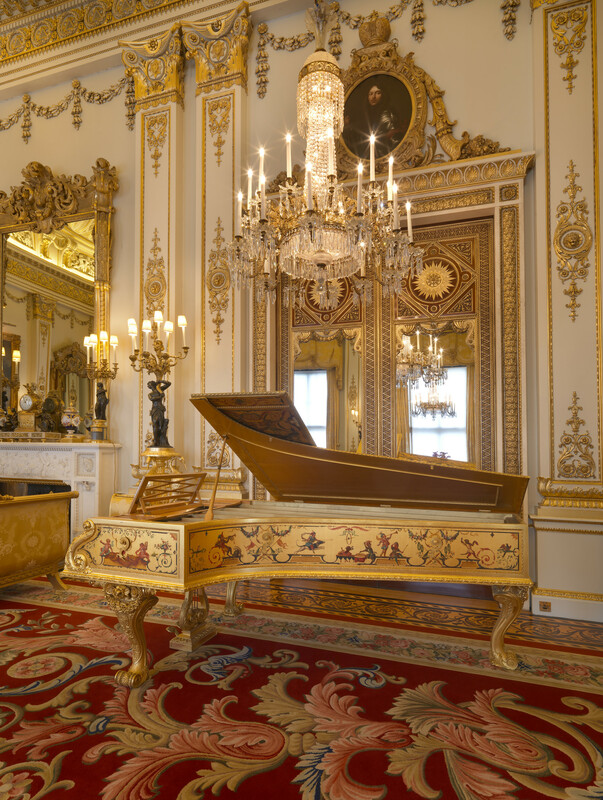 Trained in Strasbourg, Erard moved to Paris in 1768 and began making pianos for the French nobility. He was later joined by his brother Jean-Baptiste Erard (1749-1826) and the business grew, especially after Royal commissions from Marie-Antoinette, but suffered during the French Revolution. The family opened a London outlet in 1790/1, which concentrated on the production of harps. Sébastien is famous for making a great number of technical improvements and inventions and took out between fifteen and twenty patents in England alone. 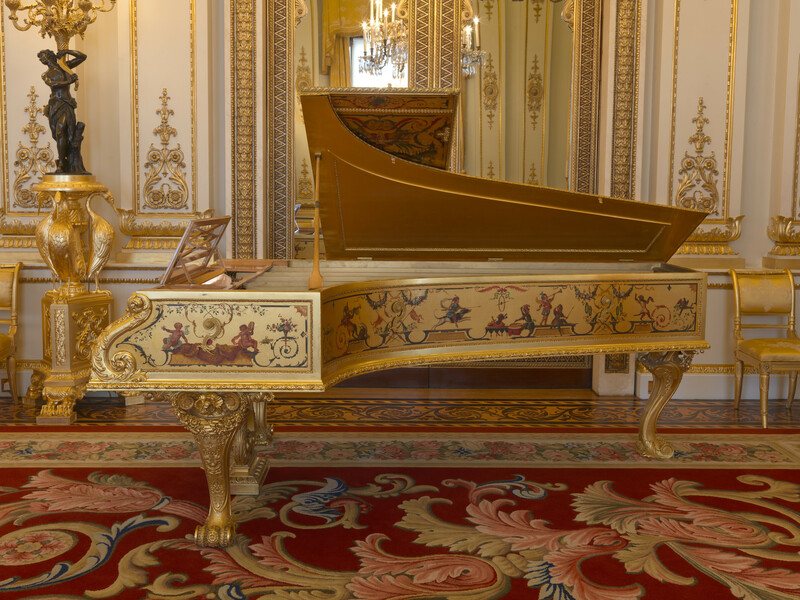 After the death of Sébastien Erard, Jean Baptiste's son Pierre (1794-1855) took over the busines in Paris and London, winning a gold medal at the 1824 Paris Exposition and later becoming piano maker to Albert, Prince Consort. Many illustrious pianists played Erard instruments, including Liszt and Mendelssohn. Stamped with the serial number 3985, and twice inside C. MARTIN. Inscribed on the nameboard: ERARD P. ERARD fecit and F. ROCHARD PINXIT.